Freshcaller is a cloud-based modern phone system created for teams of all sizes. Built by Freshworks, Freshcaller can help you run a state-of-the-art contact center for customer support, sales, IT, and HR operations. Dashboard and Ticket Management. Dashboard shows all LOBs and it's easy to keep tracks of them. Tickets have many features like merge, scenario management and notes. All different tickets are merged together and it's easy to manage all tickets in one single email. Its online portal is also great. Customers can view their ticket and reply, close or add someone else to the ticket. Assigning LOBs is also great. Calling features, can't dial directly to extensions. We switched to freshcaller from ringcentral but it doesn't have this feature. In RingCentral you can directly dial extension with number and call goes directly to that extension without any ivr. 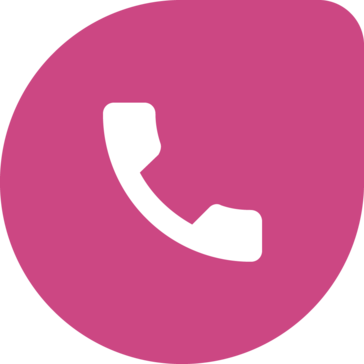 In Freshcaller you have to call the number first and then follow ivr to connect to that extenation. It is great!! Please check the homepage and go to comparison page to see what is best about fresh caller that no one else has! It is great product and has many amazing features. Customer Support. It's easy to manage all LOBs and one of the best and great feature is that all calls are recorded. Earlier we were using ringcentral for calls but now with fresh caller all calls are recorded and can be managed easily. It has been really great working with freshcaller. "New User - loving this product"
I have worked in a few call centers and Freshcaller has tons of analytics available at your fingertips. Being able to see how your day is progressing and allowing for easier future planning, it does make it easier to help manage the way that the center will handle incoming calls. One of the only things that i do not like is the limitation of being able to use extensions. While this can be easily managed and is only a minor annoyance, it would certainly be a truly all in one system. Freshcaller allows you to be able to completely customize your service the way that you want and it doesn't limit you in how you can use the system either. Allowing the end user to be creative and establish their Telephony system the way that they want, will continue to make Freshcaller a leader in the industry. We are looking at a way to incorporate tickets into our system during off hours and also allow people the option to stay in a queue instead of going directly to voicemail as it was previously set in our old telephone systems. "Good Solution for Small Businesses, if you made the customization process well"
Available via App and Browser. Global Numbers. Working, if you did the setup the right way...., nice support. Good value & price. Have fixed global numbers, also when you are traveling. The App is nice working. The calls are stable. The surface is clear. Fast setup, pricy numbers. Some bugs at the setup and with the lines, so that the notification was not properly working, but now I hope is working. Some numbers are not available if you do not have an address there. Templates for ques, music, and calls would be nice. Global and local availability for clients and candidates. Good for all, who do not like video calls or want to have a spontaneous call. Work globally also as a small entrepreneur. Save money. Build trust in international partnerships. Easiest way phone contact solution. You can easily manage your call with clients or customers. Very useful for contact support & to make client calls. Clean user Interface and loads of features. Multiple features and easy management. Great database to record everything. There is nothing to dislike but just sometimes dialing problem as it fails to connect. It's not every time or everyday but quite sometimes. Hope they could fix it soon and add some more features like integrations with other applications. I would definitely recommend as it the best phone contact solution for anyone & everyone. An inexpensive product with loads of features. Easy to use and great service. We use it for customer support and make client calls. I can access my recordings on the dashboard itself and manage my call. The pricing is very reasonable and features are great. Services and support are very responsive as well. "Neat & elegant platform, with improvements being added continuously"
The ease of configuration - I was able to get the basic stuff set up and running in less than a day. Special mention to the Reports module. The UI for the Admin configurations is clunky (Adding users, editing call flows, etc.). I got used to how it works, but it's definitely something that can improve. Not being able to create a ticket on Freshdesk from within Freshcaller. Attending calls has become easier & more comfortable. The native integration with Freshdesk & Freshsales was critical for us (even though there are a few snags, which I'm sure will be resolved). Getting actionable insights is a breeze with the robust reports module. I like that the call recordings are now only viewable by management. We were forced to switch to FreshCaller from FreshDesk phone. The software is glitchy and lacks the reports that we would receive with FreshCaller phone. Making outgoing calls is actually much harder, and sometimes impossible. I tried to add additional agents to our plan and was told that I now had to pay nearly twice as much to add them. This is after we were told in writing that our plan would stay the same after the switch. Not so. Feels like the forced upgrade was a bait and switch. They are very slow getting back to me and only answer via email. There is no one available to talk to me over the phone. I'm looking into alternative help desk/phone systems with better customer service. I would wait until the company gets their act together before looking into this product. It's too new and their tech support is not good at all. We were forced to change from FreshDesk Phone to Freshcaller. We have had nothing but problems since. "Best ever thing used for contact support. The wisest feature of fresh works !!!" The best thing like about freshcaller is that it has all the thing son same desk. A beautiful dashboard and fantastic thing to use with customers. This product I like the most and many features are like wow.. for me and my company. Go ahead if you are searching for the best quality things and features on single desk. One dislike is there. It is available in few countries they should increase their area and countries. Nothing personal but really other features just touched my heart. I will recommend this product to its fullest. I am impressed by this product really I am in love with this. Just get this one as you will never find better than this. Here at my company we use this product to help customers. Support system should have great features and best assistance. Freshcaller has lots of benefits .. we can now call our customers for help anytime and of course anywhere and there also with full support and readiness. "Great tool for conference calls"
The best feature of Freshcaller is the call masking. This helps you communicate with your clients or peers even when you are not in the office. Also, something great about this is that they offer you your own number when you purchase their plans. Price. I think that subscription is a little bit pricey for the service they offer. It doesn't feels like you are paying for what you are getting. System lags a bit and the calls aren't that great. We can save a lot of money on VOIP systems that are three times the price of Freshcaller. Freshcaller allows you to set from a simple contact channel for your clients, to a complex and smart whole contact center for your team, units and their customers. Has a very friendly and beautiful UI as well. Is a quite simple solution to set up in a few minutes, that's what differences it most from the competition. Easy to implement, user friendly. "Very friendly and Beautiful UI"
Freshcaller allows you to set from a simple contact channel for your clients, to a complex and smart whole contact center for your team, units and their customers. It should have better mobile improvements, we crave for a whatsapp integration. Maybe add SMSs features might should be considered. I was forced to switch from phones through Freshdesk to Freshcaller and it has caused more issues than anything else. Instead of expanding my options, they have only limited functionality in phone calls and reporting. "Very easy set-up for a Soft Phone"
I really liked how seamless the process was to connect my FreshSales account with FreshCaller. I wish the importing of a hard line wasn't as cumbersome as it was. Great place to start if you're looking for a phone sales software. I'm having my inside sales team switch from hard phones to soft phones so that we can track phone analytics. The User Interface is pretty beautiful and aesthetically pleasing. Freshcaller has just launched and it is FILLED with Glitches. Not only is it filled with glitches but the Customer Service team is unresponsive and impossible to get a straight answer from. Until this platform is tested better and improved upon, don't use it. I would recommend waiting. I think once this company gets their act together, it will be better, but for right now it is for too glitchy. "Alternative in the cloud to a virtual telephone exchange for very economical and dynamic helpdesk"
Call Center without expensive hardware in differents places and times. The promptness and knowledge of the product. Staff is always helpful. As far as I can see there is nothing to dislike at this time. This is an awesome product and easy to use. We use freshcaller as a means for our customers to reach use. Using desktop and the mobile app makes it great. The ony problem you could find is that fact that the visuals are very smalls and it might take a while to get use to the interface. But once you've get it, it is very easy to use. Calling prospect for business develpment of inteview of future candidates. The benefit is the recording and ticket system that allow everyone to listen to the calls and it gives a second advice on business discussion for example. I like the access to the live dashboard, is very useful. Since freshcaller is still connected to Freshdesk calls and tickets can still be connected when necessary. I'm satisfied with the product. I disliked the fact that a proper reports tab had not been added but now is all set and I'm happy with it. Easy to monitor big groups of agents. Analytics reports are awesome, we always need interactions outside of business hours and Freshcaller gives us that with two clicks and that saves so much time. It helps us connect with customers through calls. The count of calls is easy to get since the analytics reports have been very well designed. "Great service, with a flow"
I love the simplicity of the application. We had it implemented in couple of minutes. We had (are still having) some issues with dialing out to local phone numbers. We are using it for day to day customer support. It works great with Freshdesk that we use as our ticketing system. The flexibility in setting up call trees. That users cannot be downgraded for access only, as all users have admin privileges. Providing answers to common questions when customers call. few of our callers on the last call had some trouble joining the call, but it seems like it was more of a user error than a system error. Our current product gives us unlimited minutes though, the per-minute cost makes me a little apprehensive. IVR feature is fantastic and makes the company much more professional. Nothing thus far we had a few bugs that the freshworks crew fixed right away. "Great addition to FreshDesk, needs an IOS App asap"
I like how easy it is to use alongside FreshDesk and the widget that is built into FreshDesk or how I can use it stand alone. I do not like that there is currently no Mobile App. Phone system for different brands to have different ivr. The live dashboard is one of the best things and reporting. Call Metrics dashboard should be improved with more details such as a transcript. We use Freshcaller for our Customer Success Team. Freshcaller run on cloud and I can make integrations with Freshdesk, its awesome!! This tool gives a lot of features that help me a lot. Nothing so far. I really like this tool. Easy to use, totally on cloud. "Solution I was looking for, finally found!" The child call queue created in the IVR, there is nothing else that I dislike!!!! "FreshCaller is a good Platform to integrated calling purpose"
It can be integrated with FreshDesk and can be synced for contacts. The calling numbers are not included of Indian Subcontinent. Call Analyzing tool with various different functionalities. I like that i can now get reporting exported. There are many bugs within the app that need fixing. "Great tool for contact center on cloud"
Easy to use, voice quality is good and cost effective product. we were unable to take calls from home during DR situation and now with help of Freshcaller we have setup our DR and agent is taking calls from home during DR . I love the theme of the program, it is very useful and easy to use. I have not found anything in this software that I do not like yet. Give it a try, I bet you will like it! No problems with the software, it is very useful in our smaller business setting. "user friendly, customer support is also good"
nice portal as well as nice customer support, user friendly. "Freshcaller is working very well and smooth"
Call queues and messages are very flexible. It knows where to be routed to according to time such that no more daily manual work is required. Company's service support. We can handle the call enquiries faster and more efficiently. * We monitor all Freshcaller reviews to prevent fraudulent reviews and keep review quality high. We do not post reviews by company employees or direct competitors. Validated reviews require the user to submit a screenshot of the product containing their user ID, in order to verify a user is an actual user of the product. Hi there! Are you looking to implement a solution like Freshcaller?